Although it is thought that the Dour was navigable for small vessels as far as Charlton until the 1700s, the number of weirs and sluices necessary for control of millponds has made the Dour of little use for transport inland. The mouth of the river, however has been useful as a sheltered harbour since the bronze age. A beautifully preserved bronze age boat was discovered in the town in 1992, and can be seen in the museum. Until the time of the Norman conquest the Dour estuary was quite wide, offering a natural safe anchorage, but the river gradually silted up with the port moving to the west of the river mouth. The closeness of Dover to France assured the town's importance as a port, with the Romans building the Classis Britannica Fort at the location of the current market square, and a pair of lighthouses called Pharos on top of the cliffs each side of the harbour. 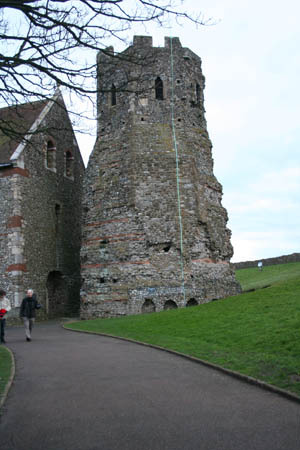 The remains of both still exist, but the more intact Pharos stands within the grounds of Dover castle. 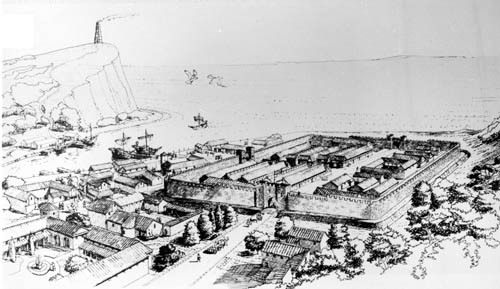 Always of military importance, in the middle ages Dover rose to prominence as a Cinque Port, being granted exemption from taxes in repayment for providing ships and men to the King for the navy. Constant wars with continental neighbours saw the castle strengthened and the western heights fortified to improve Dover's defenses against the threat of a Napoleonic invasion. The villages of Temple Ewell and River were once very distinct communities from Dover. Downstream, Barton Manor and Charlton were separate settlements, a good walk from the centre of town, clustered around the pent - Dover's original harbour (now Wellington Dock - the yacht marina). The villages were mainly farming communities, with watermills servicing the local need for corn grinding. The location of parish churches is a good clue to where the communities were centred. 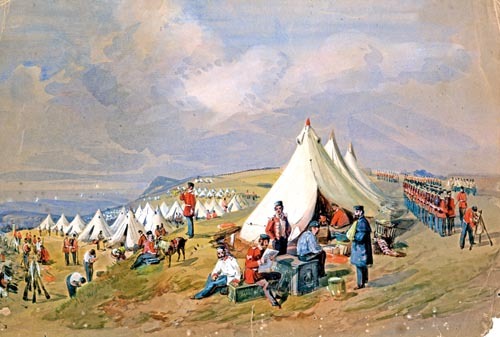 Military and naval campaigns meant that Dover became a garrison town and opportunities arose for wider trade using sea routes as well as profits to be made from supplying the troops and the navy. A huge 600% increase in Dover's population in the late 1800s meant that wide areas of farmland were purchased for housing development as the industrial revolution brought light industrial work to the town. As the need for water power declined with the use of steam power, the water of the Dour remained important for brewing and paper-making industries. By Victorian times Dover flour, beer and paper was well known nationally, however company mergers and international competition saw these industries relocate or close in the 20th century, with the last paper mill ceasing trading in 2000.